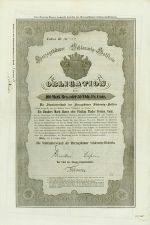 Duisburg, 1 February 1858, Share for 100 Thaler Prussian Courant, Founders issue. 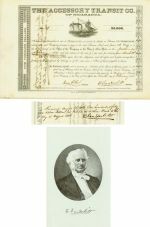 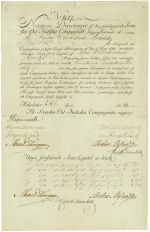 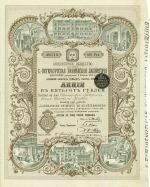 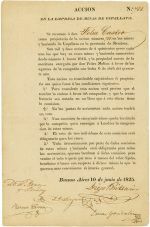 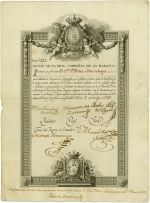 Bodie Bluff Consolidation Mining Co.
Aurora, California, 1863, unissued certificate for Shares of US-$ 100, original signature of Leland Stanford. 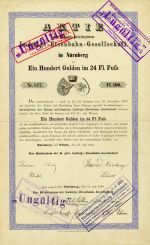 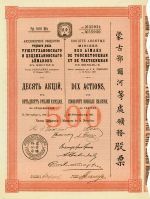 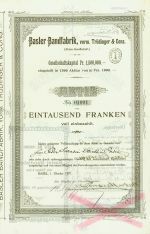 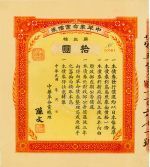 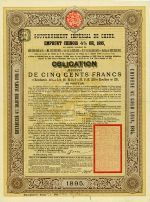 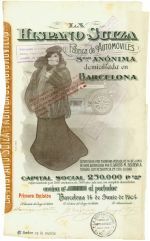 1916, Fund Raising Bond of the 3rd series for 10 Yuan, Kuhlmann 362. 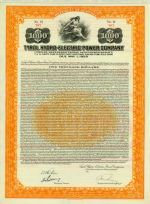 15 June 1933, Shares á US-$ 100, signed as president by Buster Keaton. 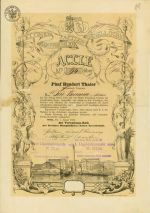 Walkerville, Ontario, 1904-1905, Shares á US-$ 100, signed by John S. Gray. 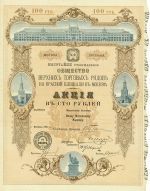 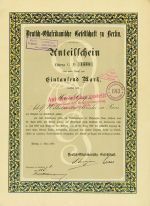 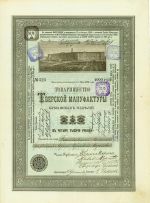 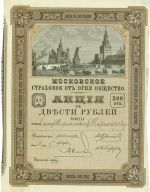 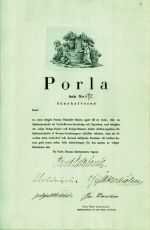 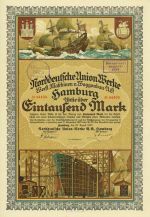 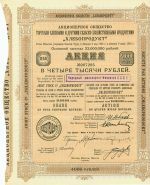 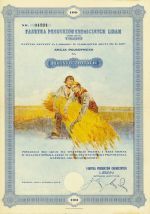 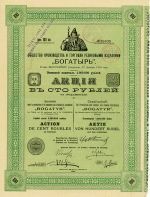 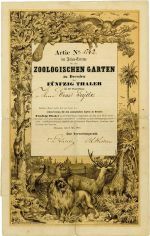 Gesellschaft für Produktion und Handel mit Gummi-Fabrikaten "BOGATYR" / Société pour la production et le commerce des articles de caoutchouc "BOGATYR"
St. Petersburg, 1895, 4 % Bond for 500 Francs = 404 Mark = £19.15.6 = 239 Gulden = 125 Rubel Gold, not cancelled, Kuhlmann 55. 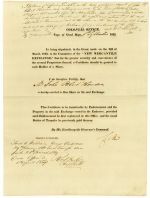 London, ca. 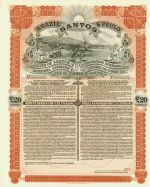 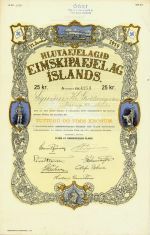 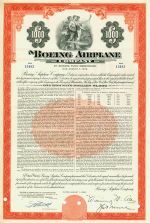 1886-1909, Shares á $ 125. 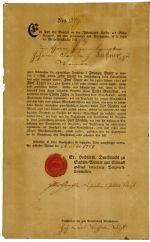 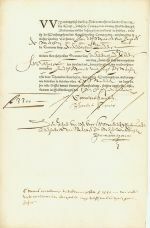 Weimar, 24 February 1784, 1 Kux (Mining Share) for 20 Thaler, of which 10 Thaler were paid up, original signatures of Johann Wolfgang von Goethe, Johann Carl Wilhelm Voigt and Christian Gottlieb Voigt. 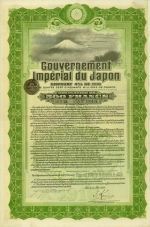 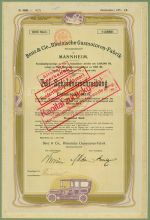 14 March 1911, 5 % Bond for 1,000 Yen, Kuhlmann 212.
ca. 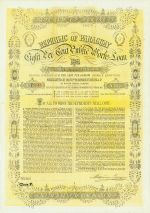 1946-1949, 100 Shares of Capital Stock, Faksimile-Signature of the IBM legend Thomas J. Watson. 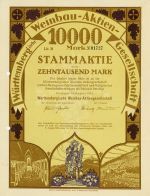 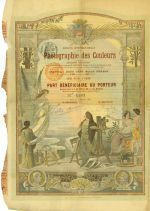 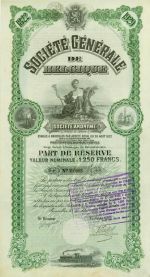 Joint Stock Co. "CHLEBOPRODUCT" trading in corn & other rural productions / Société par Actions pour le Commerce dess Céréales et autres Produits Agricoles "CHLEBOPRODOUKT"
Karlsruhe, July 1921, Share of 1,000 Marks, changed by stamp to 800 DM in 1951, one of the few German share certificates which were stamped to DM! 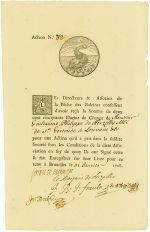 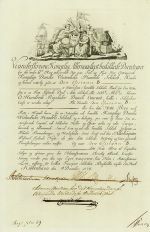 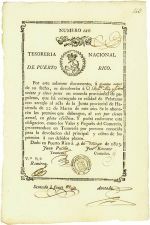 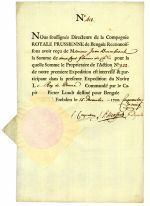 Copenhagen, 11 December 1778, Share certificate of 100 Reichstaler Danish Courant, among others original signatures of Carl Heinrich Schimmelmann, and Ernst Schimmelmann. 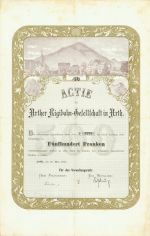 Nuremberg and Fürth, 31 July 1835, reissued on 31 July 1869, Share of 100 Gulden at 24 Gulden Base. 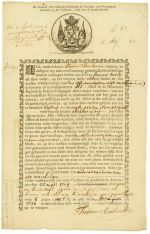 Emden, 5 April 1754, Share of 900 Silver Gulden or Emden, 15 December 1759, Share of the second expedition for 200 Gulden. 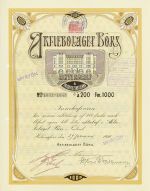 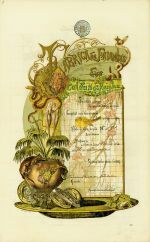 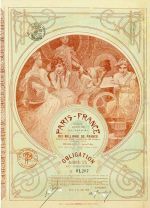 Ringling Bros. - Barnum & Bailey Combined Shows, Inc.
Société par Actions sous la raison sociale "Laboratoire Chimique de St.-Pétersbourg"
Stuttgart, August 1923, Registered Founders Share of 1,000 Marks, 5,000 Marks or 10,000 Marks.